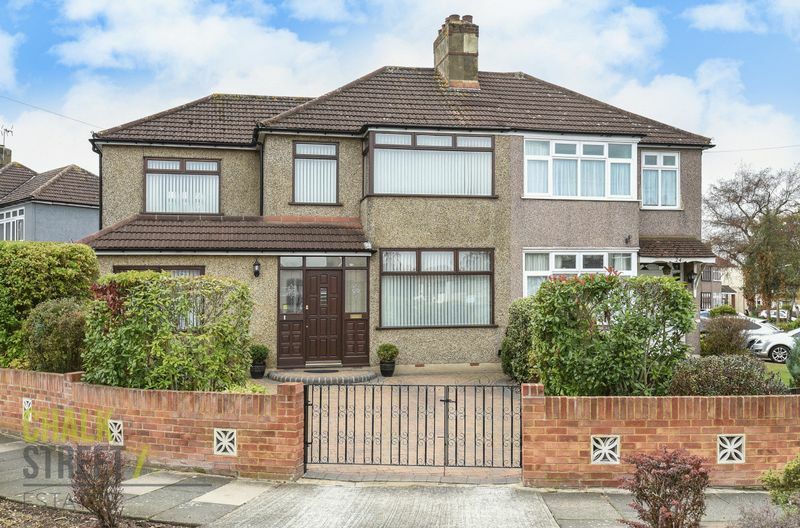 Conveniently located within a mile of both Elm Park Underground and Romford Crossrail stations is this extended, four bedroom, semi detached family home. Occupying a generous corner plot, along a quiet crescent, tree lined road, the property has spacious front driveway parking, a detached garage with driveway, south-west facing rear garden and south-east facing side garden suitable for large vehicle parking, that could be used for extension or further outbuilding (STPP). The ground floor accommodation comprises an entrance hallway, dining room to the front elevation with a large lounge leading on to a conservatory towards the rear garden. 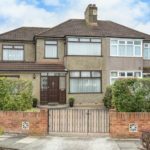 The kitchen is located at the rear of the property with the added benefit of a separate utility room at the front and a downstairs shower room / WC. Upstairs there are three double bedrooms, a single bedroom along with the family bathroom. The loft area is boarded, has ladder access and suitable for storage. Local schools and amenities are within close proximity.